For Stockton fire sprinkler services, turn to AAA Fire Protection Services. We provide comprehensive fire sprinkler services to businesses in Stockton and throughout the San Joaquin Valley. 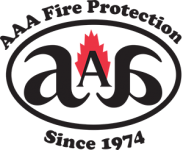 AAA Fire Protection Services is a 40 year veteran of the fire protection industry. As such, we provide industry expertise to companies just like yours. Our family-owned business provides complete design services for fire sprinkler systems. We work seamlessly with your architect and your design team when you have a new building project in the works. We also help developers with fire sprinkler installation during renovation projects. As part of our ongoing service to clients, we provide fire sprinklers inspections, which includes testing and when necessary we do fire sprinkler repairs. Our goal is always that your fire suppression system is 100 percent ready in case of fire. We understand that fire sprinklers are one of the most effective ways to reduce the spread of fires and to reduce the damage that fires cause. If you'd like more information about our expert services, just give us a call at (800) 543-5556. We are happy to answer your questions or provide you with the professional quote.